Having been to see the wonderful Studio Ghibli documentary (Kingdom of Dreams and Madness) and the gorgeous Tale of Princess Kaguya, I thought I would share some of the neat Studio Ghibli content that is in our libraries. Studio Ghibli : the films of Hayao Miyazaki and Isao Takahata / Colin Odell & Michelle Le Blanc. Princess Mononoke [videorecording] / produced by Toshio Suzuki ; directed by Hayao Miyazaki. Howl’s moving castle [videorecording] / Tokuma Shoten, Studio Ghibli, Nippon Television Network, Dentsu, Buena Vista Home Entertainment, Mitsubishi and Toho present a Studio Ghibli production ; a film by Hayao Miyazaki. 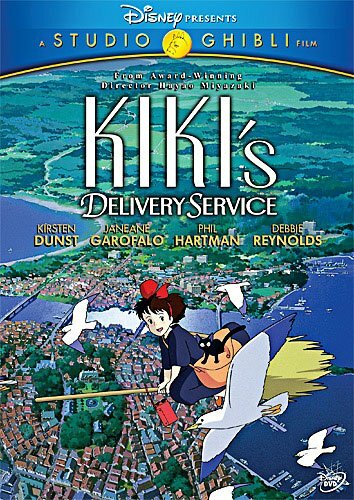 “Sophie, an average teenage girl working in a hat shop, finds her life thrown into turmoil when she is literally swept off her feet by handsome but mysterious wizard named Howl. After this chance meeting she is turned into a 90-year old woman by the vain and conniving Witch of the Waste. Embarking on an incredible adventure to lift the curse, she finds refuge in Howl’s magical moving castle where she becomes acquainted with Markl, Howl’s apprentice, and a hot-headed fire demon named Calcifer. As the true power of Howl’s wizardy is revealed, and his relationship with Sophie deepens, our young grey heroine finds herself fighting to protect them both from a dangerous war of society that threatens their world”–Container. The cat returns [videorecording] / a film by Hiroyuki Morita. 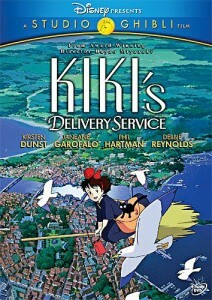 Kiki’s delivery service [videorecording] / a film by Hayao Miyazaki. When Marnie was there. 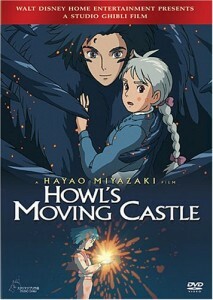 This is the most recent movie from Studio Ghibli, based on the book of the same name by Joan Robinson. Hopefully it will make its way to New Zealand shores, but until then, you can watch the full trailer (in Japanese). Ronia, the robber’s daughter / Astrid Lindgren ; translated by Patricia Crompton. “Ronia, who lives with her father and his band of robbers in a castle in the woods, causes trouble when she befriends the son of a rival robber chieftain.” (Syndetics summary) Ronia the Robber’s Daughter is Studio Ghibli’s first foray into television. The animated series based on the book of the same name will begin airing in Japan soon. 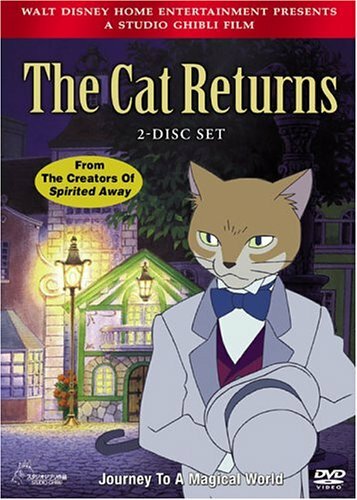 I loved this book as a child, so while we wait for this to be released in New Zealand, you can watch the first footage here. Next Post Zine making at Te Papa!